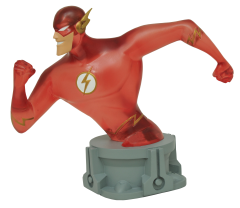 Add to your Justice League with this exclusive 6-inch bust of the team’s scarlet speedster, the Flash! 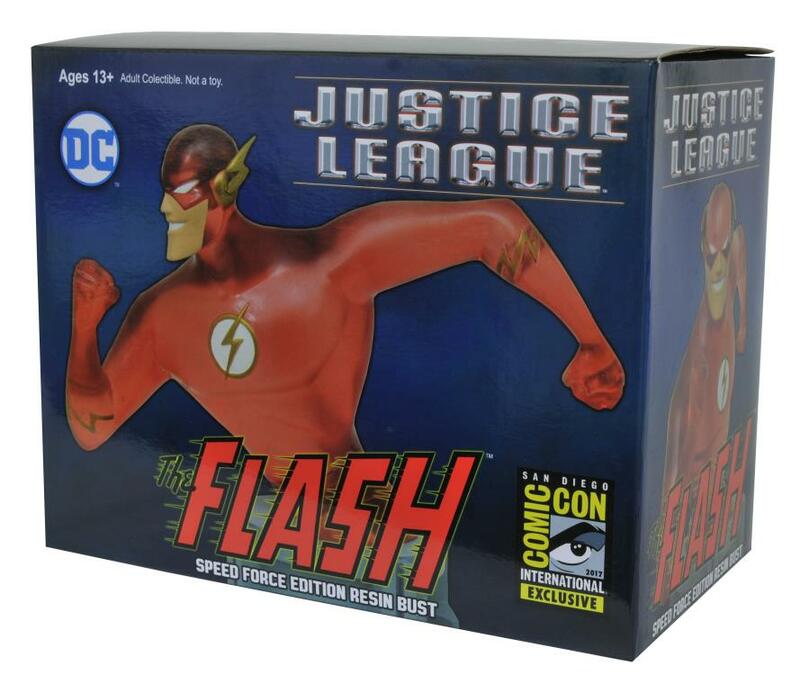 This exclusive edition captures Flash at faster-than-light speeds, and is cast in a translucent material to simulate a speed effect. 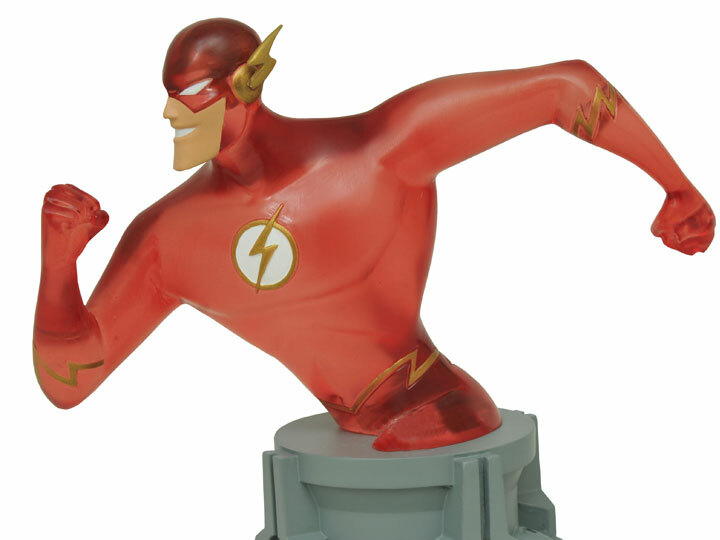 Limited to only 650 pieces, this bust comes in a full-color box with a hand-numbered certificate of authenticity and was culpted by Varner Studios.